I just love our library, and I'm so happy that the boys love it, too!! They other day, we sat in this same aisle for about a half-hour just looking, reading, and talking about books and things that boys talk about. It was so much fun! After we finally chose some books (Andrew gets to pick 3 books; Alex gets to pick 2 - we get a certain amount of books for however old they are. No more lost books!! 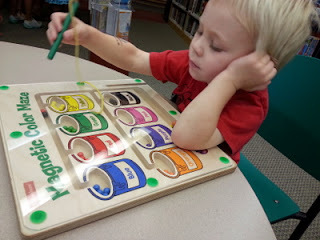 ), we headed over to the tables to play with the maze boards and pick out a new movie for pizza night. 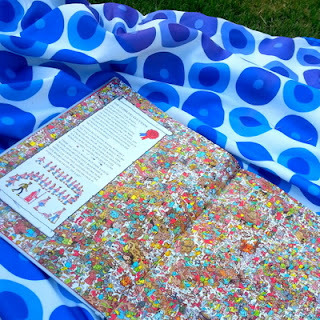 One the days that the weather seems to cooperate, we actually take out books outside for some stories and Waldo-hunting. Do you see that?! It's like a mini tv, but library-themed, of course. They are called Playaway Views and WOW! Coolest. Thing. Ever. Since this was a new thing that we spotted, we agreed that they would each pick one to try out. 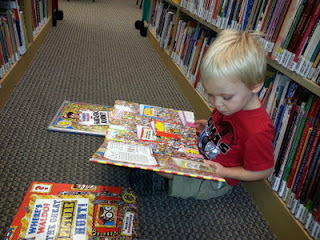 Andrew chose the "Chica Chica Boom Boom" one that had 4 books total. 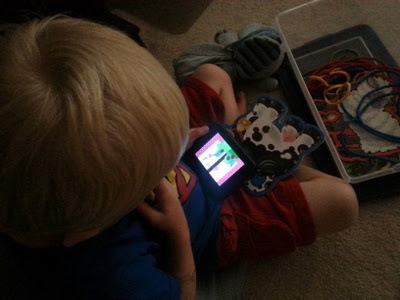 Alex picked "Super Why!" since he is ALL about that show these days. His had 4 or 5 episodes on it. If your library has these - get them!! They are so neat! Inside Voices or we leave! We get our books first, then we can play with the different items available to us. You get a number of books based on how old you are. 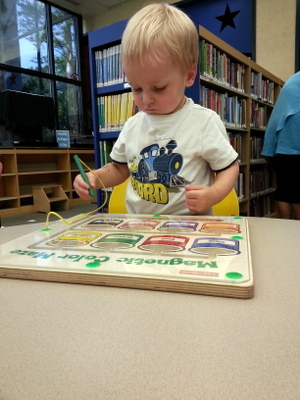 Just a few of my tips on how we make our library time easier and fun for the little guys. Happy reading and learning!! **Andrew has been at the library enough time to understand that every book has a special place where it "lives" on the shelf. 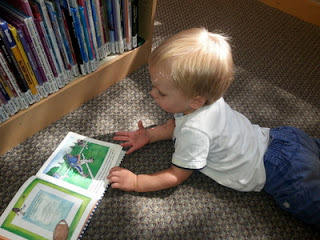 Most of the time he can put the books right back where they go and even help Alex find the book's "home." He knows how to count, so he knows that numbers go in a certain order (just like the letters). Please teach your kids this, too. Sure this is the day and age of internet computers and maybe the Dewey decimal system is old school, but when the computer system says a book is THERE and is misplaced on the shelf...that is just annoying. 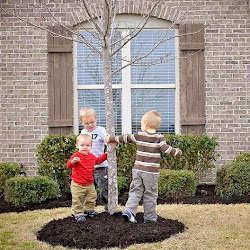 Maybe I'm the OCD mama with the OCD kids... But this is a good skill that they should be taught regardless.